Skyscale is supposed to be a bit slower, but more versatile than the last flying mount. Developers compared him to a chopper that doesn’t need any airstrip to take off and can easily gain altitude in almost any situation, while Griffon is more of a jet plane, it can go really fast, but has some other limitations. There’s more, Skyscale is able to climb vertical walls and adhere to them, to regenerate endurance that will enable it to fly further. Moreover, it can also breathe fire. The moment you dismount it will scorch your enemies. There’s no official release date yet, but we know that the new flying mount will be available in the next content update – the sixth episode of the Living World fourth season, which will be the season’s finale, called War Eternal. 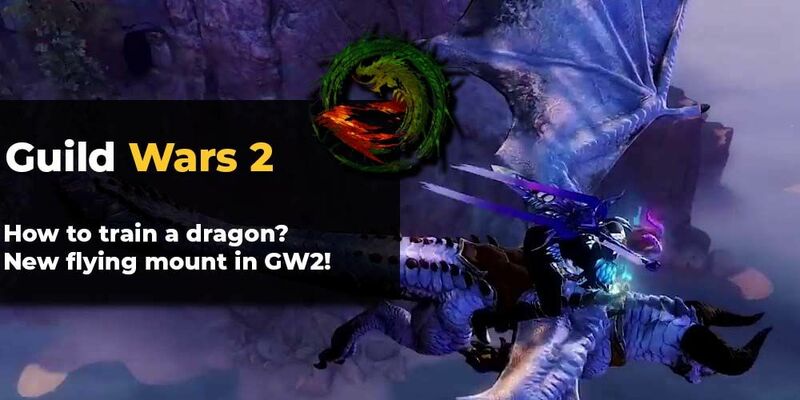 Finally introducing a dragon mount fits really well with GW2 recent storyline. To be fair, from the beginning Elder Dragons were playing a huge part in the story, but the fact that one of them – Kralkatorrik remains the main enemy in season 4 just adds to it. There’s also the somewhat unexpected turn of events surrounding Aurene in the last episode’s ending. The trailer also gives us a first look into the new map that will also be introduced in the new patch. There’s not much to go on about at the moment, but we’ve seen some mountains and marshes. But the most interesting things were the bear ghosts. They might indicate that new update might focus on unveiling more about the Norn and their lore. After all, the reveal of Skyscale is just another thing to be excited about in the Guild Wars 2 near future. Developers recently shared their vision of how they want to direct the game. 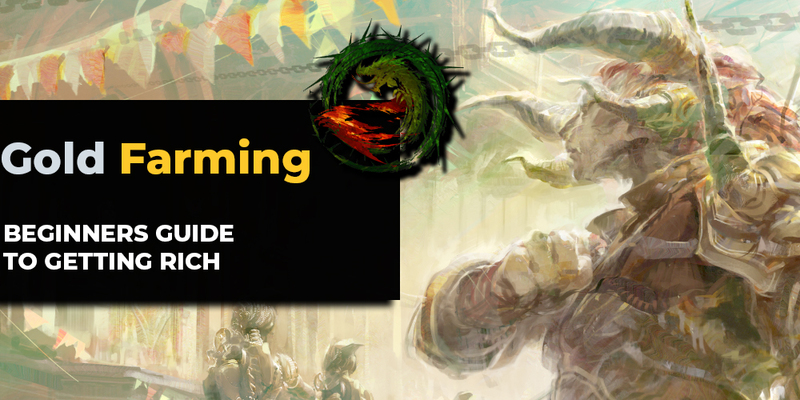 We can’t wait to play through the next episodes of the story of Tyria. 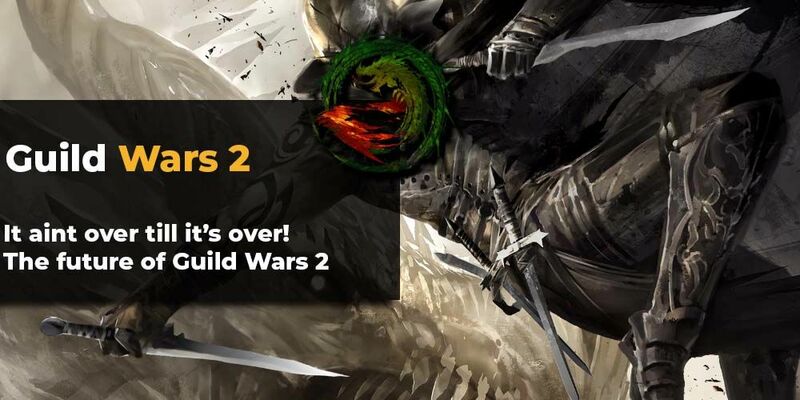 Watch the GW2 Skyscale reveal video if you haven’t already and see what’s the hype is about!